We enjoy creating restful spaces for bedrooms. Our storage solutions are carefully designed, accommodating everything you need. With good proportions and subtle detailing, the effect is rounded off with a solid build-quality and fully-fitted finish. 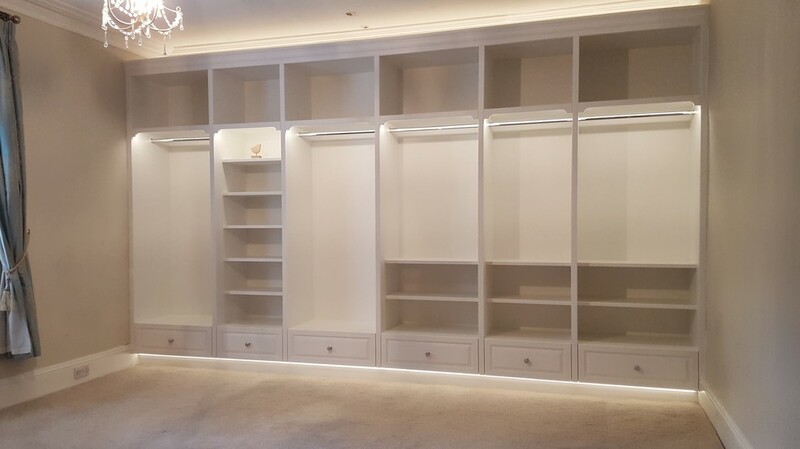 Custom designed triple-fronted tall alcove wardrobes for a bedroom on Ecclesall Road South in Sheffield. Soft close hinges and interior drawers and shoe racks. 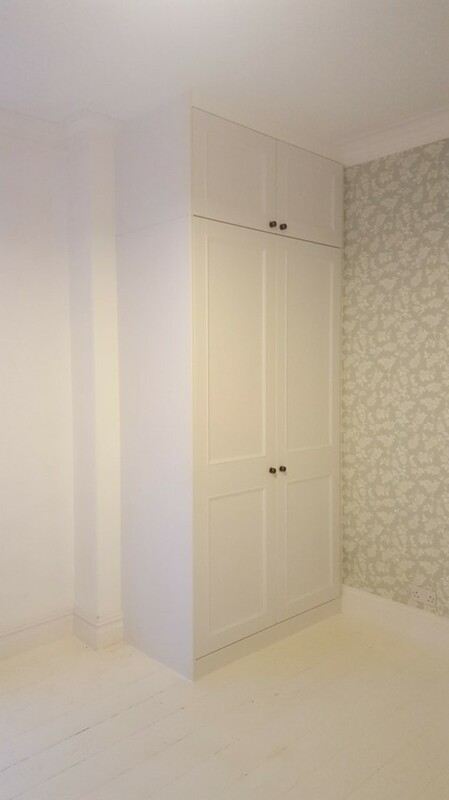 Bespoke wardrobes fitted to alcoves and designed to allow access around a large bed in a small room. 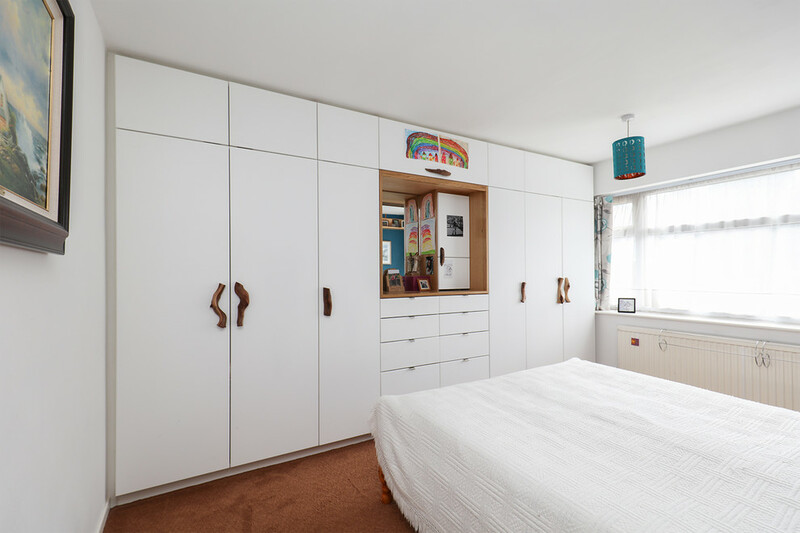 Hettich Soft close, full-extension pull-out shoe racks fitted in a made to measure bedroom wardobe in Sheffield.